The Austrian jam manufacturer increased its sales by 5% in 2010. Already 42% go to exports. 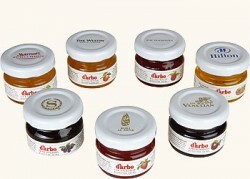 The Tyrolean jam, honey and fruit juice manufacturer Darbo achieved sales for € 107.65m in the previous year. The export quota increased from 39.6% to 42%.